Buying a foreclosure in New York can provide excellent profits as long as you know what you are getting into. Learn about the pros and cons of buying a foreclosure in New York and the surrounding areas in our latest post. Have you ever considered buying a foreclosure in the New York area? If so, there is a lot you should know about the process and what to expect. While there are opportunities to make some serious profits, there are some things you will need to watch out for too. Keep reading to learn more about what to expect when buying a foreclosure in New York. Of course, the appeal to buying a foreclosure in New York is the fantastic deals you are often able to find. Foreclosed homes will often sell well below market value, making foreclosed properties a popular choice for both investors and private buyers. Sometimes, you will get what you pay for, so make sure the property you are interested in buying won’t cost you an arm and a leg to repair. When you buy a foreclosed property at a great price, your potential for high returns grows exponentially. With the right property, you will be able to fix it up and resell it, fix it up and rent it out for a long term investment, or take the money you saved on the sale, and use it to renovate the home to move-in yourself. It can be a great investment and a great way to find a home for you and your family that you can modify in any way you want. Just because the bank wants to sell quickly, doesn’t mean they will take just any offer. When buying a foreclosure in New York, make a realistic offer that will set you apart from the competition. Banks won’t typically negotiate, but if you present a fair offer to help them offload the property, they will quite possibly accept. You will likely be able to find some great deals and banks willing to sell and close quickly. A foreclosed property can come with some risk. If a homeowner has been unable to make their mortgage payment, it is likely they have had trouble making the needed repairs and required maintenance to the house. You might find yourself dealing with all sorts of problems down the road. When you purchase a property at a foreclosure auction, it is typically sold as-is. This means you won’t be able to inspect the property beforehand. If you are able to do any sort of inspection to the property before buying, it will give you a better idea of what you are really getting into. 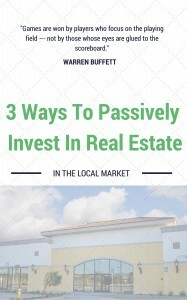 There are many savvy investors out there just like you who are looking to find a great deal on a foreclosed property. The process is not for the faint of heart. Be sure you thoroughly research the property and the neighborhood before making a bid on a foreclosure. Make a thoughtful and well-researched offer to set yourself apart from the rest. There will likely be many other people eyeing the foreclosure, so be smart, but act quickly too. Buying a foreclosure in New York is a great way to purchase a property at a deep discount. While some foreclosures are too damaged to be worth it, others can ultimately turn into an excellent investment or home for you to reside in. Do your homework beforehand to find the market_city] foreclosed property that will be right for you!